David is an out-of-the-box thinker, gifted communicator, marketing strategist, publisher and coach. He has delivered 500+ percent growth of nationwide periodicals, developed New York Times bestselling authors and created award-winning curriculum resources for both for profit companies and non-profit ministries. 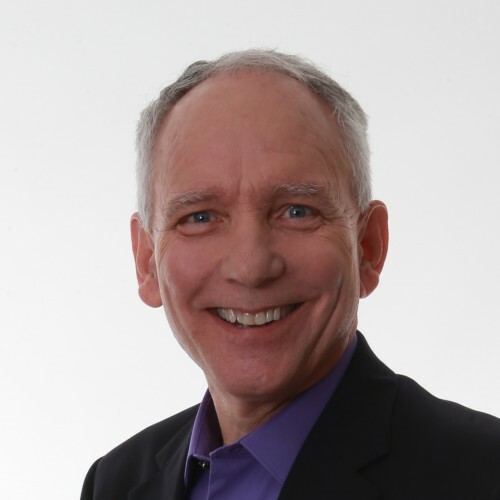 David Welday is President of HigherLife Publishing and Marketing, Inc.
David is a marketing strategist, publisher and Certified Professional Coach who works with business owners, executive directors and professionals to help them share their story and connect with their target audience. He has signed and provided marketing direction for New York Times bestselling authors and created award-winning books and curriculum resources for for-profit companies and non-profit ministries. He has served in the publishing and marketing world for more than 30 years with experience in; direct response marketing, magazine publishing, book publishing, curriculum and digital resource development, donor development and organizational development. His experience includes work in traditional, collaborative and self-publishing models. This session will give you specific strategies that will help you stand out, separate yourself from the competition, become more memorable, more “likable” and as a result, generate more leads and see those leads convert to clients at a higher rate. Enhancing your value proposition giving customers more reasons to buy! Discover why Fortune 500 companies spend millions on brand development – and how you can learn their strategies! Branding is something everyone talks about. Businesses and organizations know branding is crucial to building enduring success, growth and legacy. Few however truly know how to develop their brand much less see it become “contagious”. What is a “contagious” brand? It’s one that people naturally catch and want to pass on to others. Branding is more than simply making sure your website matches your letterhead, or having an attractive logo and tag line. How to get your leadership team clearly aligned behind your brand – or if you are a “solopreneur” how to have a leadership team mentality with your vendors and partners. The ideal brand development process – learn what to do and in what order. How your customers, readers, donors feel about themselves based on your brand – what makes them want to tell others about you? 3. Stop Thinking Marketing and Start Making a Difference in People’s Lives! This session will give you strategies that employ non-traditional ways of thinking about building your audience platform. You’ll discover ways to sell more books and serve more people in the process! More and more authors are coming to realize that the true challenge and opportunity in publishing lies not just in creating a compelling manuscript or finding the right publishing partner, but having a sound marketing and distribution plan! Publishers are looking for authors who are willing to market their message. But how do you do that? This practical session will give you a wealth of insightful and proven strategies for how to market and sell your book, not, just one at a time but by the box! Not only will you learn ways to move your book, you will have much more joy in doing so! Develop cause-based distribution strategies that improve lives as well as sell books! It’s no secret that the publishing world is in transition! On the one hand, it’s never been easier to get published. Yet, it’s never been harder to be successful at being published. Today you have options. But with all the publishing options, there are pitfalls. Most new authors find themselves disappointed, disillusioned or discouraged because they were not properly prepared or educated about the publishing process. This seminar is designed to empower you, to be wise and aware of your options, to know how to navigate the landmines and become a successful, and happy published author. Find out more about David Welday at http://AHigherLife.com.